Due to time constraints, we do not respond to every applicant. If we decide we’d like to set something up, you’ll hear back from us within 12 weeks. Why the long response time? We only take 1-2 days a quarter to plan interviews and episodes for the next business quarter. We hear from a lot of photographers. This doesn’t mean you shouldn’t apply if you’re a photographer, but it does mean to that you’ll want to make sure you application is 💯if you are a photographer. Our focus is helping creative, service-based businesses find more clients + build their brands + grow their business. We look for guests who we think will have specific and actionable advice to help others reach that end. You may have sold a million widgets or launched a 7-figure online course in three days with only a dollar in your pocket. But if you don’t have helpful tips, advice, or information for creative, service-based businesses, you’re probably not a good fit. This doesn’t mean your business or past experience has to be in selling services, but whatever you’re pitching needs to be relevant and provide value for the BTB audience. that application, can you answer the following? Do you have an understanding of the Brands that Book audience? The more specific and actionable the advice, experience, or tips you’re willing to share, the better! Generally interesting pitches discuss both the result and the strategies used to get that result. "I created a referral system for my event planning business that motivated my favorite (and often highest paying) past clients to consistently refer my business. This system has resulted in an X% increase in qualified inquiries and X% more client bookings. I’d like to discuss the specific strategies that people can implement to build their own referral systems." We often receive applications that include impressive business backgrounds but don’t actually include a pitch. Be sure to include a specific pitch! Is your pitch relevant and specific? Just because you do or have done something well doesn’t mean that you can teach it well. Some people are really, really talented, but are unable to explain/teach how they developed that talent. We don’t require our guests to have an advanced degrees in education, but we do expect that they’ll be able to articulate the content and strategies they’re sharing about. And we also expect that they’ll be able to handle follow-up questions. You’ll also need to be willing to share the good stuff. If you’re worried about sharing too much of the strategy you’re pitching in your application, this podcast is probably not a good fit. Do you know what you’re talking about—like really know it? And are you willing to share the good stuff? We share about every episode we release. And we expect that our guests will share about it, too. No need to hire a skywriter, but a few posts on social media and a mention in your next email broadcast (if you have an email list) will do the trick. We’ll even create a suite of graphics and swipe copy for you to use if you’d like. If you’re not willing to share, please do not apply. Are you willing to share your episode when it’s released? Listening to a few episodes before you apply to be interviewed is recommended, and leaving a review will help demonstrate that you’ve done that. 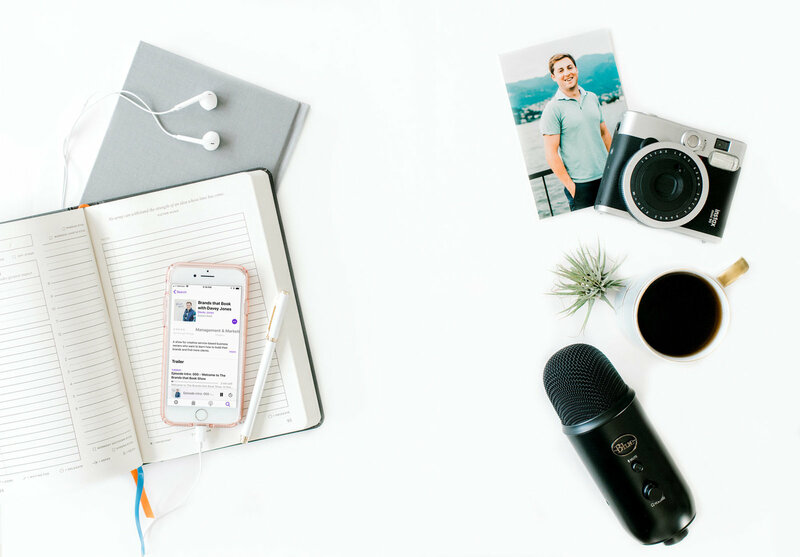 This is a great way to familiarize yourself with the podcast and determine whether your content would be a good fit. Have you listened to past episodes (and left a review)? All of the above sound good?